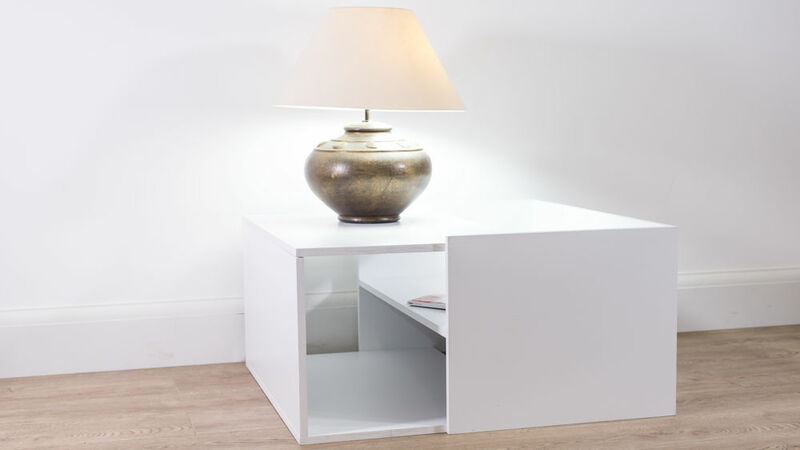 If you are after a coffee or lamp table that is modern, sleek and little bit different, then take a look at our Nuvola White Oak Small Coffee Table. This white oak veneer coffee table has plenty of display and storage space which has been cleverly incorporated into its contemporary and interesting design. 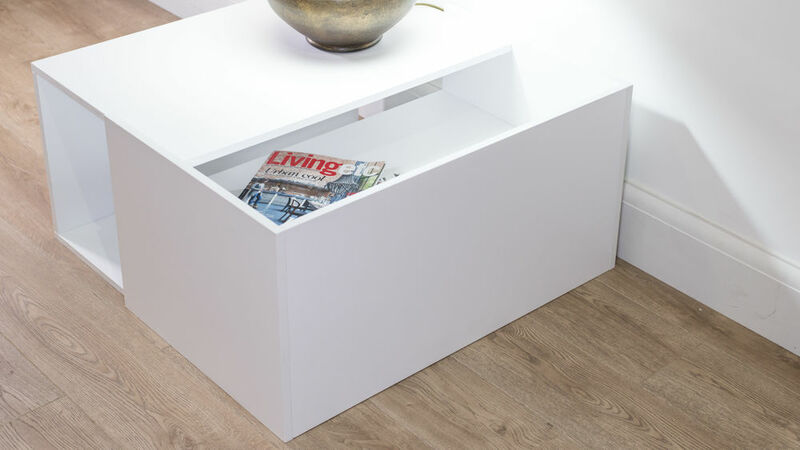 The Nuvola has been designed to add a bright, open and modern feel to your living area, alongside being a very practical storage solution. The Nuvola White Oak Small Coffee Table is finished in a stylish white oak veneer, which is eye-catching yet elegant. Whilst white furniture is cool and modern, the oak grain shines through the white veneer to create a hint of warmth alongside a very tactile finish. The design of the Nuvola White Oak Small Coffee Table is modern yet effortlessly simple. This, paired with the stylish white oak veneer, means this coffee table will look right at home in a variety of interiors. 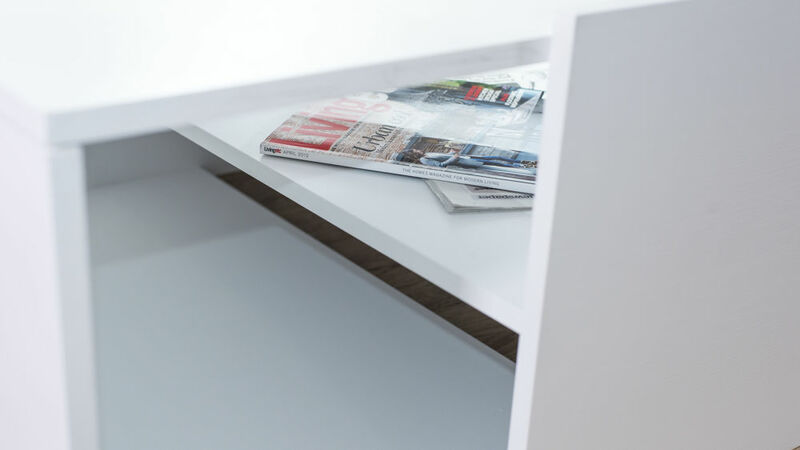 The Nuvola has a handy internal shelf and open storage area, as well as plenty of space on the surface, so you can store and display a variety of items. This makes this coffee table both stylish and practical. If you already have a coffee table in your living space, this modern small coffee table is also ideal as a lamp table or side table. Like the style of this coffee table but are after something a little bigger? why not take a look at our Nuvola White Oak Large Coffee Table which is the same design just slightly bigger in size.